You've got the tools, you've got the talent, but do you have a bottle opener? 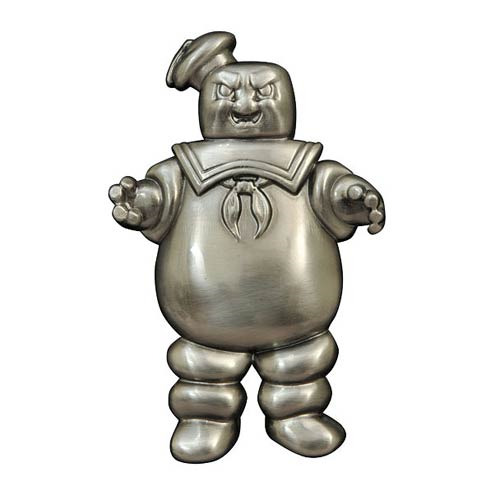 The Stay Puft Marshmallow Man can open anything: churches, gateways to other dimensions, you name it. Now, this exclusive angry version of the 4-inch metal Mr. Stay Puft will open up your favorite bottled beverage and magnetically stick to your refrigerator door! Packaged in a full-color slipcase. Limited edition of only 3,000 pieces! NOTE: This item will first be sold at San Diego Comic-Con 2015. If supplies remain after the show, your order will be filled. Ages 15 and up.